From stately or charming historic structures to concrete block or metal buildings, municipal buildings house important functions of local government and represent the unique character of each community. Delaware Engineering, D.P.C. approaches municipal building planning, permitting, design, bid assistance and construction supervision guided by the specific objectives and sense of place distinctive to each municipality. 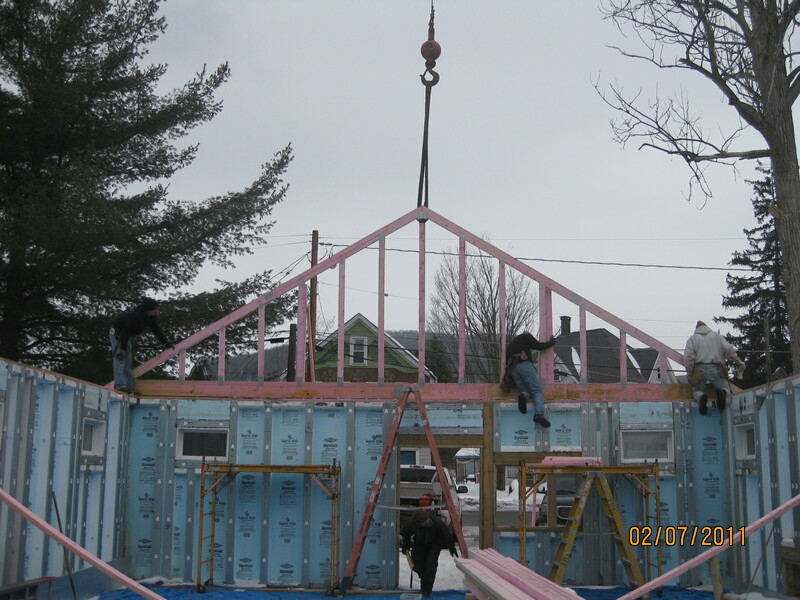 Renovations of historic structures for adaptive reuse as town, city or village hall to justice courts to housing fire or highway apparatus demonstrate the creative and flexible approach Delaware Engineering employs. Delaware Engineering is equally skilled in the development of green field municipal buildings financed by flood-recovery funding. In every case, tax payer impact is calculated by Delaware Engineering from the outset of project planning and used to guide decision making to ensure the municipal building project meets the functional and economic needs of the community. in December 2009, the Town of Ashland’s municipal building was destroyed by fire. 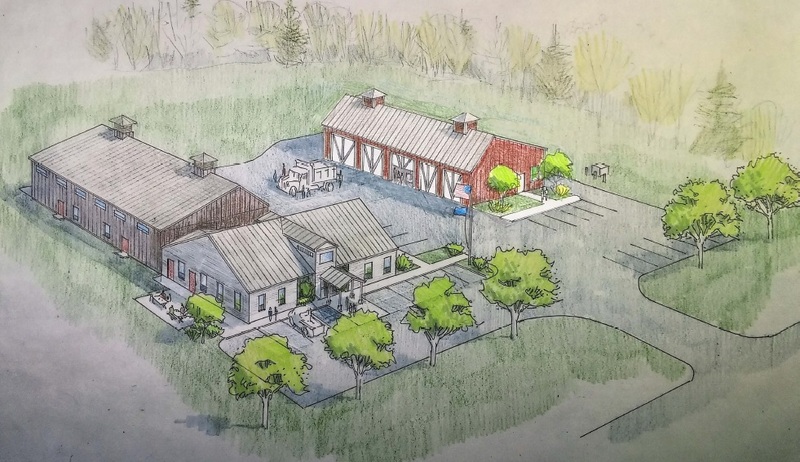 Delaware Engineering assisted the Town in the planning, permitting, funding, design and construction supervision of a new Municipal Building to replace the old structure. The 12,100 sq. ft. first floor houses the Town Municipal Offices, including a community room/court room, emergency services, and the Ashland Fire Department and fire equipment. The building also includes a 5,400 sq. ft. heated basement under the municipal portion, and a second floor storage/flex space for future expansion. 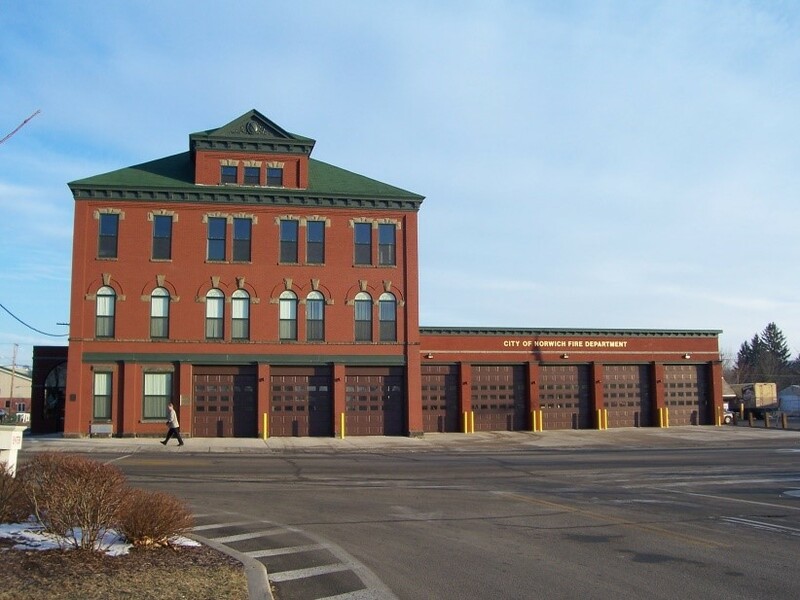 The new structure is a pre-engineered, steel rigid frame metal building, categorized as Type IV Construction, Essential Structure for Emergency Operations. 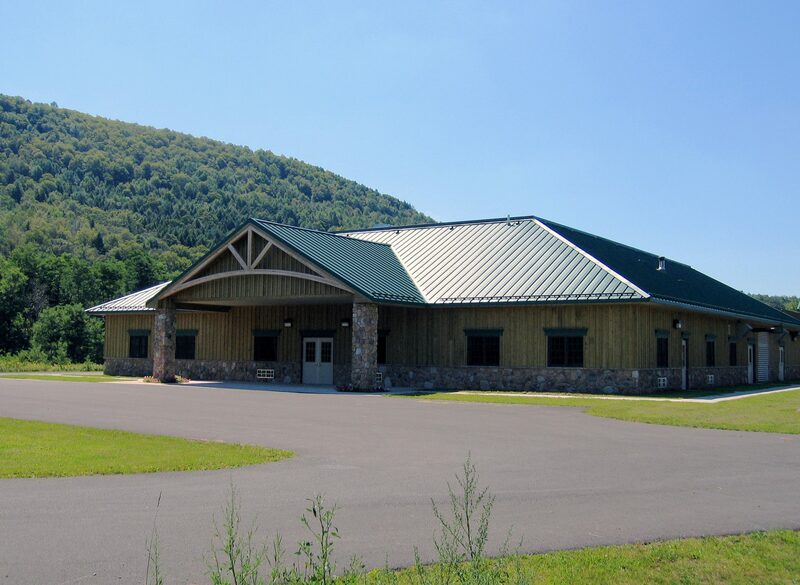 Under a Temporary Occupancy Certification, the building served as an emergency shelter for local residents affected by Hurricane Irene In August 2011. Construction was substantially complete in 2013; the Town installed interior finishes prior to final completion in 2015.